In today’s blogpost I would like to present you the amazing opportunity of volunteering in an animal centre situated in North Sulawesi, Indonesia. 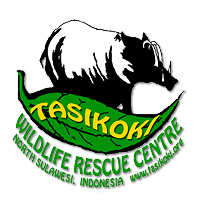 Tasikoki Rescue and Education Centre offers to people from all around the world to help with the daily care of more than 200 animals rescued from the illegal wildlife trade. For a minimum of two weeks and for a maximum 2 months, you will be able to work with black crested macaques, orangutans, gibbons, bears and many other different species from all over Indonesia. The centre situated an hour away from Manado, will provide you a unique experience and the chance to learn more about the threats faced by wildlife and the challenges faced by NGO.